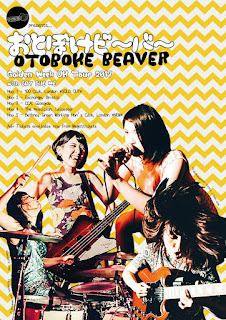 I can always rely on my buddy Mel to introduce me to some anomalous bands that would otherwise have slipped under my radar, and last week we got to see a band we've been speaking about for a while now, Otoboke Beaver. 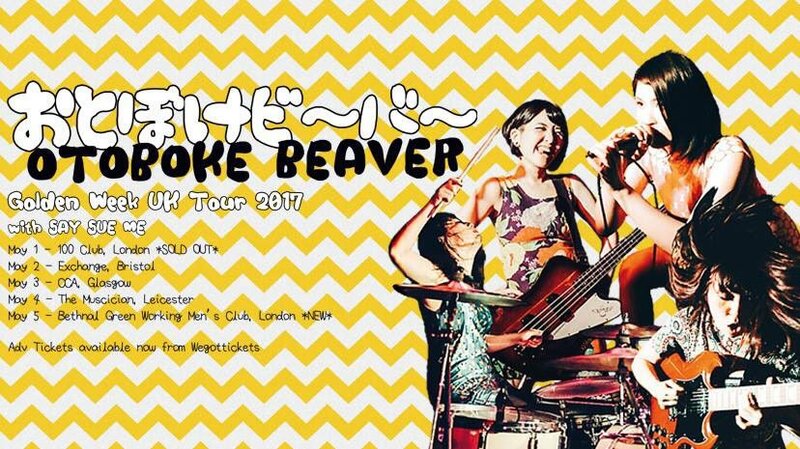 "Otoboke Beaver おとぼけビ～バ～ are a punk-rock-garage quartet from Kyoto, Japan. The band’s name is taken from a local ‘Love Hotel’ and they describe themselves as: “Japanese girls ‘knock out or pound cake’ band”. Crazed, deranged garage, punk-rock-pop at break-neck speed and everyone sings. 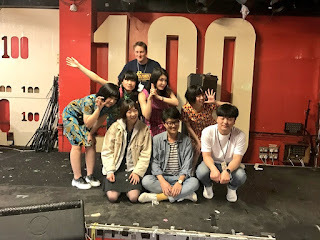 The band of mid 20’s talented musicians make easy work of the complex arrangements, reminiscent of jazzy riot grrrl/Queercore NYC punks ‘God Is My Co-Pilot’ or Barry Hogan (ATP) favourites’ ‘Afrirampo’.They only sing in Japanese, and often in Kyoto slang." There's no better place to see a band with this type of intensity and punk dramaturgy than the historic 100 Club. You're close enough to see every band member do their thing and with Otoboke Beaver to get to help guitarist Yoyoyoshie crowd surf. Lead singer Accorinrin is just the right side of alluring with a hint of surly, exactly what Mel and I like. 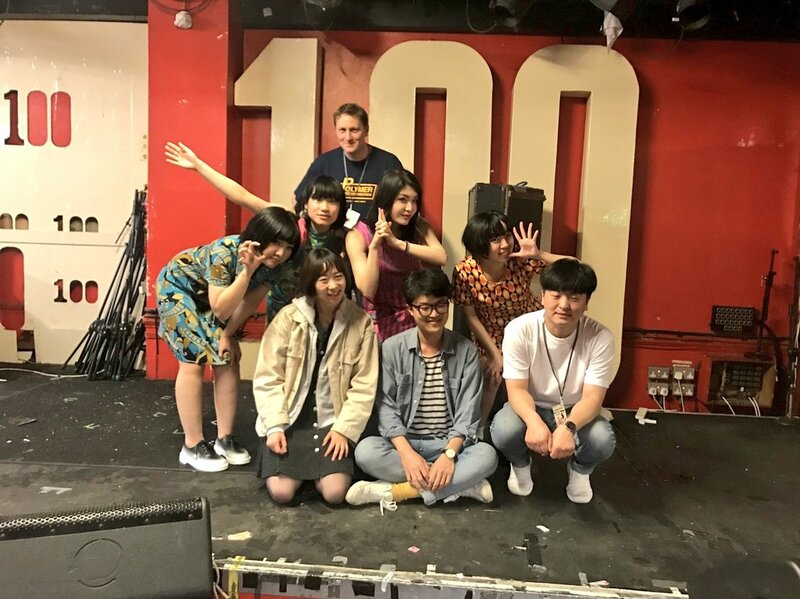 If there were a down side to seeing acts such as Otoboke Beaver, and our other favourite Japanese rockers Shonen Knife, it's the creepy old white dudes that are always front and centre. The irony of that statement isn't lost on me I assure you but this is something entirely different. 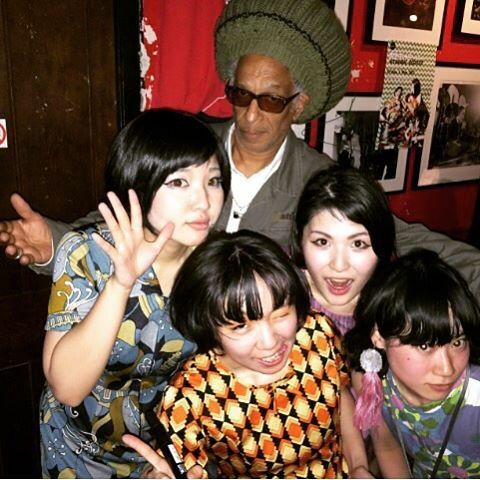 The crowd were mostly young geeky hip types with a sprinkling of the older generation including the legend Don Letts. The support act were 'Say Sue Me' from Busan, South Korea and I absolutely love them. Influenced by 60’s Surf and 90’s US/UK Indie Rock their sound is best described as Surfgaze. Their self titled debut (outside South Korea) is a compilation made up of their 2014 debut album 'We’ve Sobered Up' pared with the 2015 EP 'Big Summer Night' and includes a bonus new song. The album is utterly beautiful and even better performed live. Sumi Choi's voice is literally breathtaking. The contrast between the two bands was vast and yet as amiable as you'd wish for. 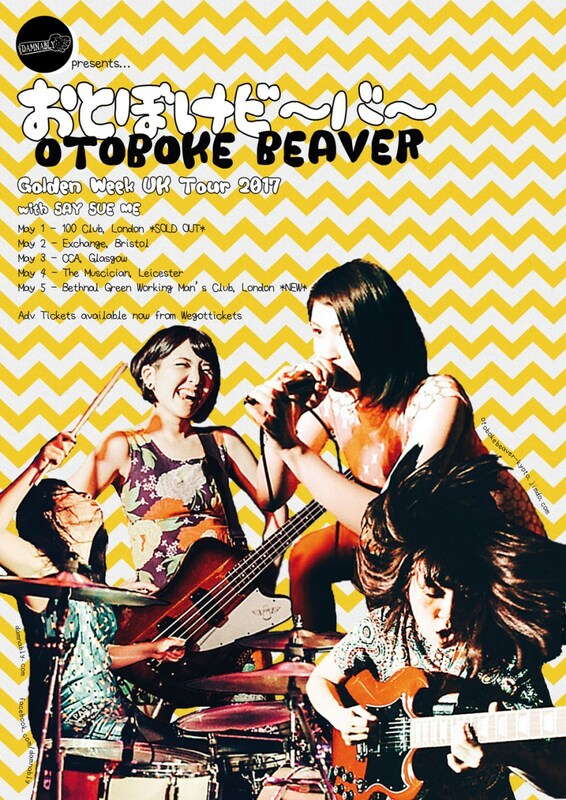 Golden Week is the only real chance for Japanese bands who's members have additional jobs to play overseas, so when the opportunity arises I suggest you get tickets.